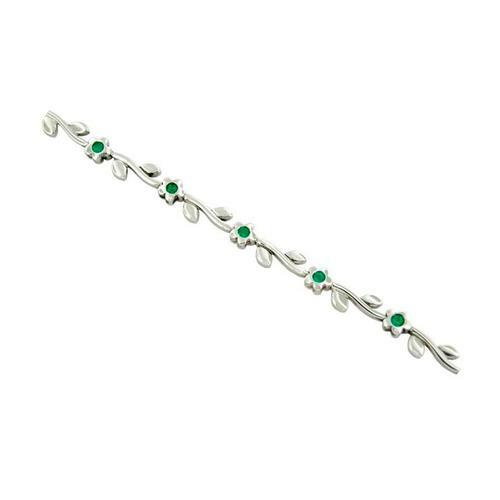 Feminine, delicate and beautiful; these are some of the words that best describe this exquisite emerald bracelet. 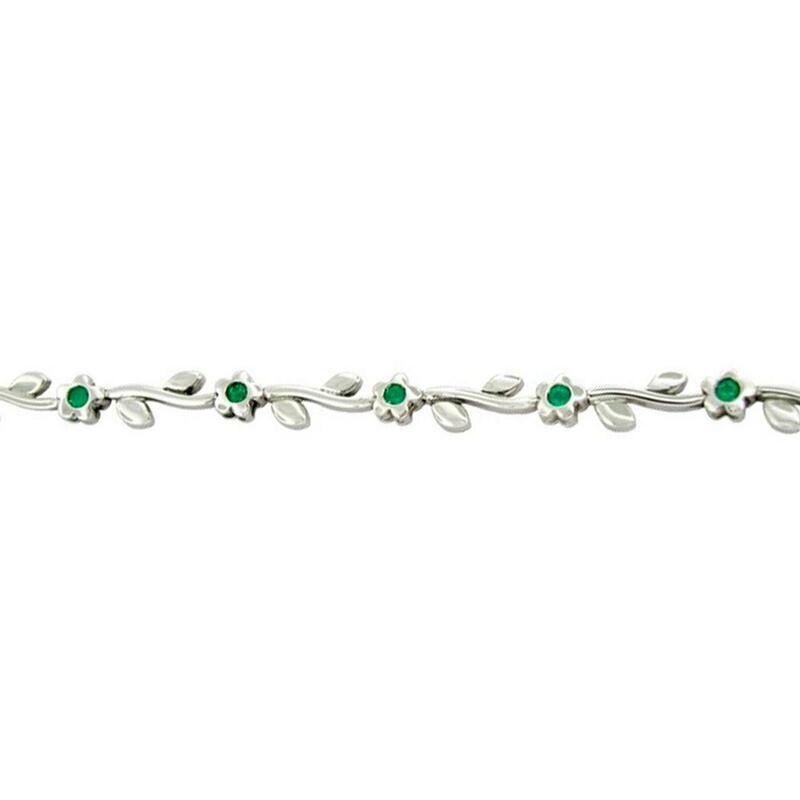 The design has 11 round cut emeralds set in bezels; each stone is the center of a small flower connected by links in the forms of stems. 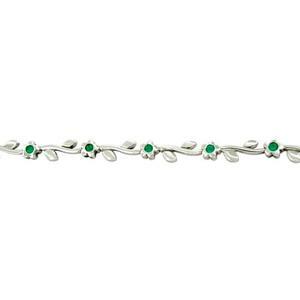 Small leaves are also made from the stems giving a lovely look to the bracelet. 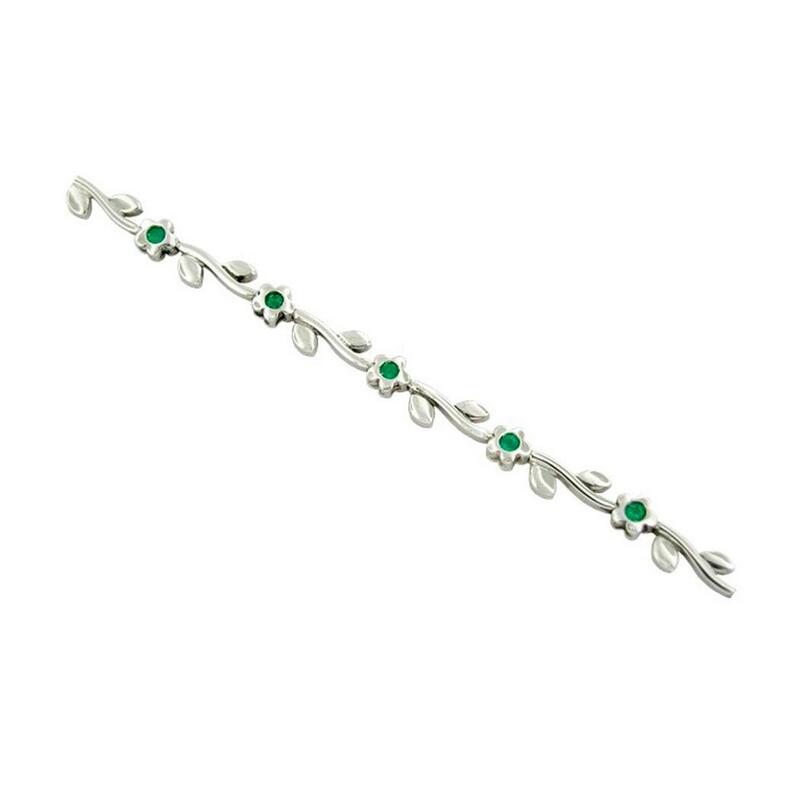 This wonderful emerald bracelet is also available in yellow gold.